I thought I’d do a little update. I’ve been super-duper mega busy lately. I’m working on a degree in English, taking a short story course, and writing as much as I can, all while homeschooling. I’ve entered a few writing competitions and have works in progress and ideas for more. Our curricula has changed quite a bit. We’re no longer using as many of Susan Wise Bauer’s and Jessie Wise’s books. We’re still using Story of the World, but we’re not nearly as happy with volume 3 as we were with the previous 2 volumes. The narrative isn’t as good, the illustrations are poor, and there isn’t a pronunciation guide in the book itself; it’s in the activity book. It’s sad, really, because history used to be Isa’s favourite subject. For writing we’ve switched to Classical Writing. We were getting so bored with Writing with Ease. It just didn’t seem to be progressing and I didn’t usually like the selections. I found it strange that one day the lesson included practice writing direct quotes, and then that was it for a few weeks. It’s a bit like teaching multiplication one day and then not doing it again for two months. Some of the dictation sentences were ridiculously difficult to memorise. 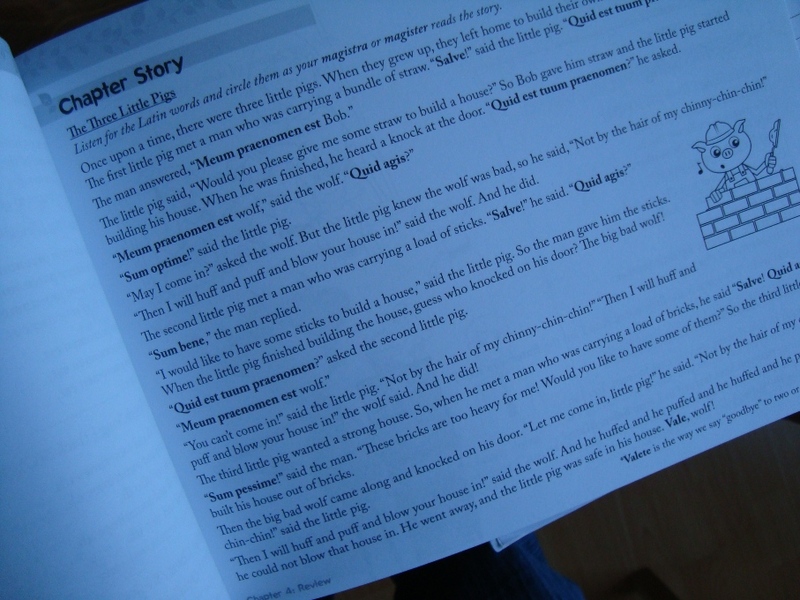 The whole purpose of buying the workbook was so I didn’t have to go searching for dictation sentences or choose selections for narration, but I ended up doing just that, and quickly tired of it. I’ve had Classical Writing sitting in a box for about a year, so I thought we’d give it a spin. First impressions are good. It is quite teacher intensive and is not pick up and go. There’s a lot of prep work when you first get it out, but it’s worth it. I feel like we’re really digging into the literature selections. I’ve incorporated what I’ve learned about writing, so we discuss conflict, motivation, plot, resolution, etc. Classical Writing also includes grammar work, which is good because we gave up on First Language Lessons a long time ago. I’m very pleased to see it includes sentence diagramming. First Language Lessons was another disappointment. Isa dreaded it (and so did I, actually.) It either skipped around too much, or made your eyes glaze over with boredom. He retained nothing from it. I decided grammar wasn’t a matter of life or death at that moment in our schooling, but that saving ourselves from drowning in a sea of ennui was. We’re still using All About Spelling, which is without a doubt my favourite curriculum. We’re just starting level 3, and I love it. 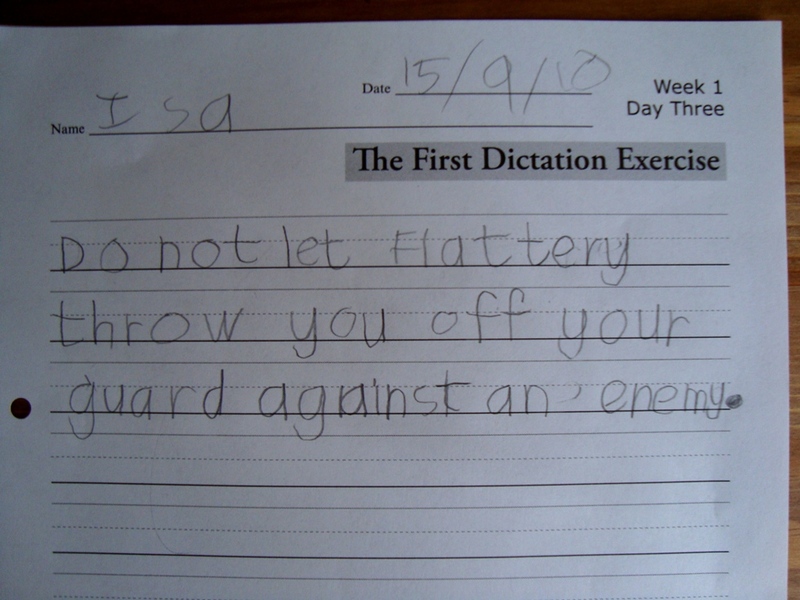 Isa’s spelling is progressing and he’s retaining what he learns. The customer service is amazing, too. I placed my last order on a Friday and it arrived on Tuesday. From the States. To England. The shipping’s not cheap, but I order 2 levels at once and it’s more economical. I also emailed them because I’d run out of magnets and didn’t realise I’d need more. I didn’t want to pay over $20 for magnets and shipping. I received a reply within a few hours, offering a half sheet of magnets for free plus a nominal fee for shipping. They then shipped the magnets the same day. With tracking. I can’t recommend AAS highly enough (and I’m not being paid to endorse them). We’re on level 3 of Singapore Math. It’s going well, and would have gone better over the past 2 years if I’d had my head screwed on tighter. Isa was forgetting skills. We’d do addition for a few weeks, then subtraction, then multiplication, etc. Then when we came back to addition, he’d forget how to carry over. Or how to borrow when subtracting. Whenever we’d come to review pages, I’d have Isa do them all that day. It occurred to me that instead of having him do all of the review on one day, I’d have him do a few problems everyday as a warm up. Problem solved. Seriously wish I’d thought of it sooner. Science has been kind of lacking. We hit a point with Building Foundations where we were getting confused. Not just Isa, but me as well. We were reviewing things, but it just felt too complicated. I got tired of wading through the text to figure out what we were supposed to do. I’d really like an outline or some bullet-points and some little boxes that paraphrase the scientific concepts being taught. I’d created study sheets as we went on, and they were helpful, but only up to a point. BFSU is high on concepts, but low on content. I think we need some factual learning on which to hang the concepts; it’s too intensive as-is. All of these scientific concepts are going in, but falling out. We’re not engaged. We’ve put it away for now and we’re reading through the Usborne Complete Book of the Human Body. He reads a 2-page spread, then gives me an oral narration. I’ll push science more in 5th grade when we use Joy Hakim’s The Story of Science series. His reading skills are good–to the point where I can give him something to read, like science, and he can go off and do it by himself, and he can give me a written narration without help. We’re using Lively Latin. As it should be, Isa hates it and I love it. Okay, he doesn’t hate it, but he doesn’t enjoy all the drill. No matter what programme you’re using, there’s drill in Latin. But it’s good for him. Although, I told him the other day that when we have our next break from lessons, he still needs to do his math review and he said, “I’d rather do Latin!” Not sure if he was kidding or not. So, yeah, our lessons aren’t fun-filled laugh extravaganzas. They’re hard work. For both of us. But it’s one of those “it’s hard work because it’s worth doing” kind of scenarios. Hard work, but rewarding. We love it more than we hate it. I do think Isa will go to school, but not for another 4 years. There are some excellent secondary schools in our area, and I want him to have more of a social life. I’m not very good at getting him into activities. We don’t have time during the day and weekends are hit and miss. The schools also provide academic opportunities that I cannot. We’ll see. It’s a long way off yet. But I know it will go quickly. We have just begun Singapore level 2. I cannot emphasise enough how great his curriculum is. It truly does develop mental arithmetic skills. Esa does not work out math facts on his fingers; he is able to add and subtract 2-digit numbers in his head. My own math skills have even improved. He has nearly all of his addition facts memorised now. Song School Latin is such a light and fun introduction to Latin. The little stories with Latin words mixed in help to bring it to life. If there isn’t a story for the chapter we’re doing, I make one up. Esa really enjoys doing SSL, and he especially enjoys the online drill. We’ve done lesson B-4 of BFSU, but this one was a bit of a dud for us. It was on life cycles and it didn’t really cover anything Esa doesn’t already know. However, I chose not to go into too much detail with regards to human life cycles. Esa’s very innocent when it comes to the differences between boys and girls and knows nothing about the birds and the bees, and I’d like to keep it that way for a while; I’m just not ready for that innocence to be quashed, and I honestly don’t think he’s ready yet, either. He’s not asking questions. Well, a while back he did ask me where babies came from, and I just told him, “from God,” which is the truth according to our beliefs. When kids ask this question, they aren’t always looking for a full breakdown, complete with diagrams and a viewing of “The Miracle of Life”. He was satisfied with this answer and hasn’t shown any further curiosity. When he does, I’ll go into a little more detail. Lesson B-4A is one of those on-going ones, so I’ve taken a few notes and I’m preparing for lesson D-4. I’ve posted the study sheets for B-4 and D-4 on the curricula page. I’ve also posted our sequence of study. Esa’s moved on to book C in the Getty-Dubay Italic Handwriting series. In all honesty Esa’s handwriting isn’t great. It can be beautiful when he takes his time, but it’s often a mess. The italic font is lovely, I just wish he’d make more of an effort to use it when he’s doing his spelling, copywork, and dictation. Esa’s reading well, but he gets sloppy sometimes. He often forgets some of the phonemes, so we’re going through The Road to Reading and reviewing everything briefly, focusing on weak areas. He’s currently reading Fantastic Mr. Fox and is addicted to The Secret Garden. He listens to the audio book for at least an hour a day and he has me reading it aloud in the evenings. It’s his new favourite. British History: This was always scheduled for Friday, and for the past several weeks it’s been omitted because we’ve needed to finish up something else that got bumped earlier in the week. I’ve decided to leave British History until we’ve finished our survey of world history, then do a year of BH, go through world history again, then do BH again. By that point Esa will probably be doing A-levels..
Picture Study: This was such a great addition to our homeschool last year. But for some reason we’re just not into it any more. ARTistic Pursuits contains some picture study, so for now we’ll content ourselves with that. Handicrafts: This has been on my lesson plans sheet since we began homeschooling 3 years ago. We’ve never done any handicrafts, so I’m ditching it until Esa’s older. I’d like to say that these cuts have lightened our load, but they haven’t; these things weren’t getting done anyway. However, I feel less over-scheduled and less guilt over missing so much out, now that there’s less to miss out. Returning to BFSU was an excellent decision. Last week’s lesson, (C-4) Distinguishing between Matter and Energy, was a lot of fun. We first spent some time reviewing the concepts from previous lessons in the C thread (physical science), then we got on to the lesson. Esa really enjoyed investigating energy to determine whether it was matter or not. 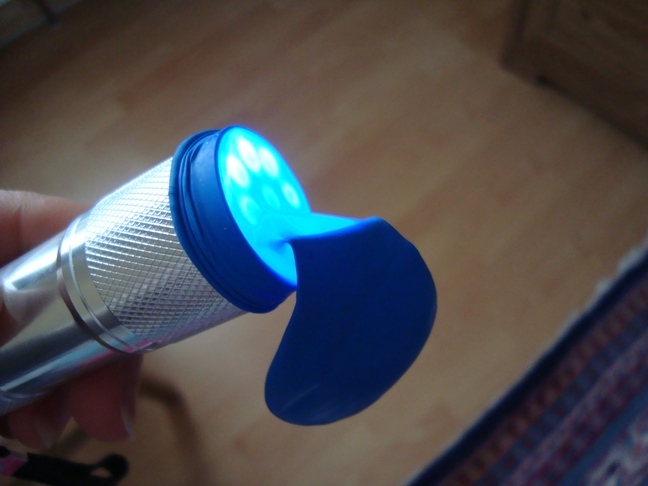 He shined a flashlight into a balloon to see if we could inflate it with light energy. This proved that light does not contain particles or take up space- but matter does. We compared the weights of batteries- one fresh and one drained- with a sensitive kitchen scale to see if electrical energy has weight. 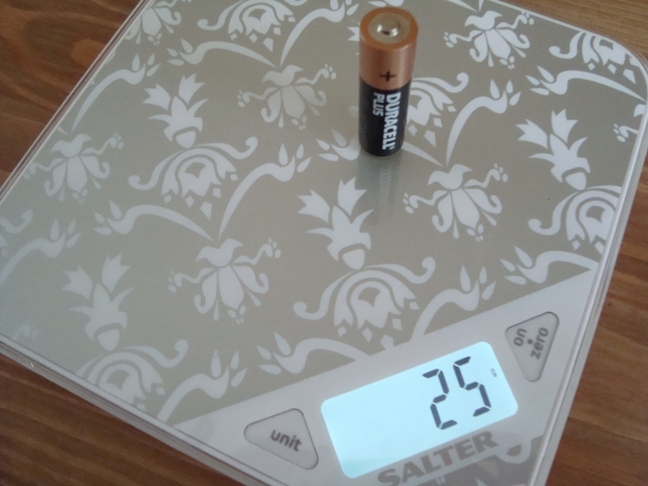 Both batteries weighed in at 25g, proving that electrical energy does not have weight- but matter does. We ran a few other tests, such as trying to trap light in a box, but alas energy is not matter. We both enjoyed this lesson thoroughly. I felt so much satisfaction at having spent the time to carefully prepare for the lesson and actually do the lesson- and on a Monday. It was a great start to our week. 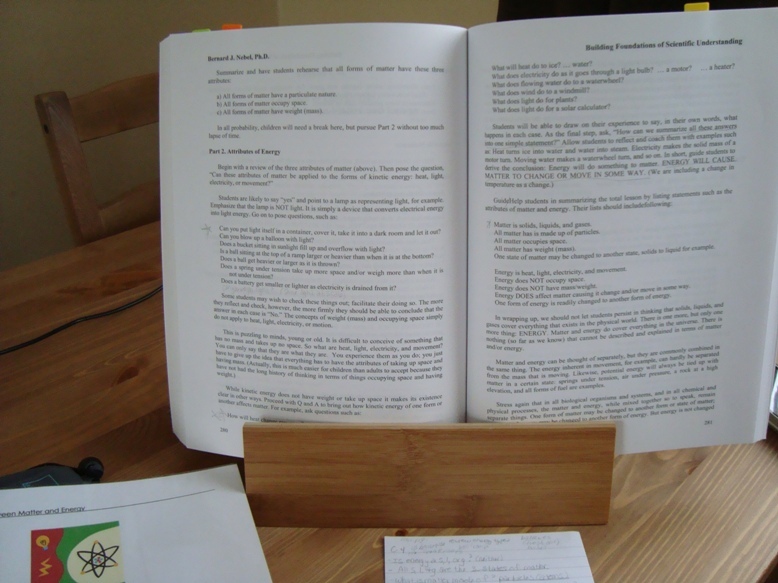 To aid reference, I propped the book up in a book stand, which made things so much easier. Another great tip: use these multi-reference bookmarks to keep tabs on the separate threads. 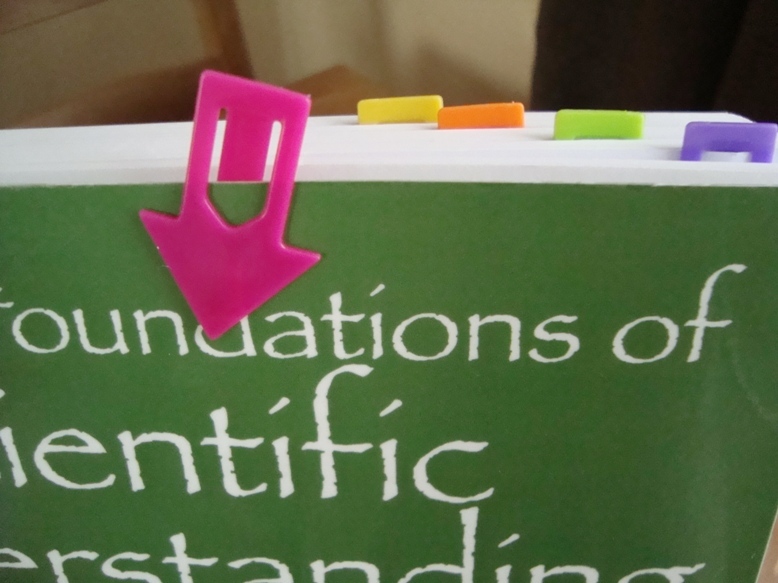 These sure beat those little post-its that curl up and tear. I’ve also gone through the previous lessons and prepared narration sheets to facilitate review. Feel free to download these and use them as you wish (see below). You’ll notice that I’ve not used closed questions. I’ve phrased the questions in such a way as to encourage full sentence answers and discussion. I will add more as we go along and I’ve added the ones below to the “Our Curricula” page. This lesson was so engaging that there was no need for me to find additional activities or adapt it in any way. A few days later, we read a little from the Usborne Internet-Linked Science Encyclopedia and felt very satisfied with our science studies for the week. RSO hasn’t exactly wowed us. It’s been nice having everything laid out for me, and having little prep work, and Esa has been learning (a little) from it, but…there’s just something a lot missing. It’s too textbook-y, too fact-based, the labs aren’t great, and it isn’t thorough enough. We’ve been supplementing quite a lot with The Usborne Internet-Linked Science Encyclopedia, which is great, as well as many other books, but we’re just left with that underwhelmed feeling that comes from learning a few facts and little else. I’ve decided to bring BFSU back out. I had reservations about shelving this, and those have proved well-founded. I know I complained about the amount of prep work involved with BFSU, but having tried something else and not liked it, I’m more motivated to put in the extra work. The grass was not greener on the other side, and BFSU is well worth the effort. I may make it a point to do science on a Monday, to ensure it gets done. I tend to cook something simple on Mondays, so my afternoons are mostly free. My other issue with BFSU was the demonstration-like lessons and the lack of “experiments”. Esa felt as though he didn’t have much to do. He just watched and we talked. This is something I’ll have to remedy as well, but I think I’m creative enough to work it out. What makes me sigh is that next year (or the year after) we’ll probably be using Classical Writing. I’ve bought the first half of Aesop (at 25% off…had to jump on it), and it’s very teacher-intensive…fantastic, but a lot of work. I’d also hoped to add in Philosophy using Little Big Minds. Next year could prove to be our most time-consuming year of homeschooling. I know that soon Esa will be more independent in his work and my load will lighten, but I’m going to have to be super-organised and cut back elsewhere. For anyone wondering about ordering Classical Writing in the UK, I’ll share my experience. They use Lulu, which is a print-on-demand company. You place the order, the books are printed and shipped out. Because of this, you cannot return the items. The shipping was about £5 and despite the fact that the 3 books were coming from America and had to be printed beforehand, the books arrived at my door within 7 days (5 business days) of ordering. I was very impressed. I’ve also discovered that the second volume of BFSU is now available on Amazon, which is great news for BFSU users. We’re on holiday this week. Well, supposed to be on holiday. My husband is doing some DIY and every 5 minutes he’s calling me to help him with something. On day one I was pretty patient- he did need my help and I was so thrilled that he was finally getting the work done that I was happy to help. But it’s now day two, the work’s only ¼ of the way finished, and I’m getting fed up. I want to draw and paint, not hold boards above my head, measure things, and assess brightness of lights. Then again, if I don’t check on his progress every now and then I certainly can’t complain that things aren’t right once it’s all done. So, in between stints of being Barbara the Builder, I’m writing. Right, enough moaning, on to homeschooling. But, alas, my instinct was right. Something had to go and I think he’ll get more out of Latin if we wait 6 months or even a year. 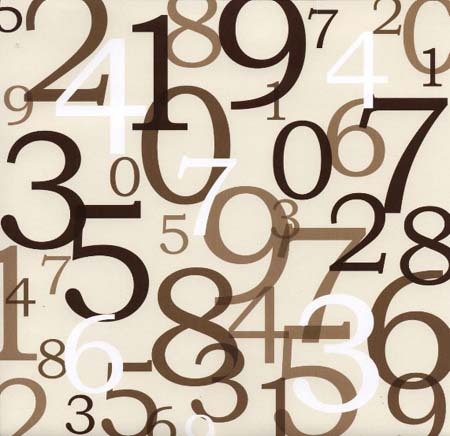 Math facts: the bane of our mathematical pursuits. When we first began using Singapore Math, I had every intention of having Esa memorise his facts. Later. Next month. In the summer. A year went by and apart from 2+2 and 5+5, he didn’t have any facts memorised. So, we did the flashcard thing. Within a week we were both dreading those 3×5 cards. He didn’t learn a thing. I thought we’d just leave it then. Maybe he’d pick them up as we went along. Maybe it wasn’t necessary for him to memorise facts; I’d teach him to count on his fingers, which is what I did do. No, no, that’s no good. I don’t want him, at 30, still counting on his fingers. Can you imagine it? Well, I can, because his father does it, and let me tell you, it’s not a pretty sight. Ok, so we’d ditch the cards and take it slowly. But what would be actually do? Then I had a brainwave: chanting and dry erase. Chanting is pain free, kids seem to like it, and it works. We’d chant some facts, pointing to them on the dry erase board, with no pressure to memorise, then when he had some down, we’d add more. He learned them quickly and easily and he can recite them in his sleep. But best of all: he enjoys our few minutes of chanting and quizzing and it is helping him with his work. We’re now adding the other doubles (3+3, 4+4, etc). Once he has those down, we’ll fill in the rest. He’s also noticing more patterns. This is working a treat. Prior to 2 weeks ago, we had only done science once in our homeschool since second grade began. It’s just not happening. How could it be that I have this great science curriculum, that I’ve praised to the hilt, but we’re not using it? Simply put, it takes a lot of prep work. It’s do-able, but it’s time-consuming to prepare. And with everything else I have to do, it’s just getting left out. You know how it is: you do math, handwriting, reading, spelling, grammar, copywork, and history, and you’ve saved science for last because it’s going to take an hour or more and you wanted to make sure you got all the essentials in for the day, then the time comes to actually do science and you look at the clock and sigh and say, “we’ll do it tomorrow.” The next thing you know it’s Friday, something comes up at the last minute and you have to be somewhere and science just doesn’t happen. At least, that’s how it works in our house. Despite how much we love science, it’s getting left out. And all that prep-reading and set up are killing my enthusiasm. BFSU takes a lot of prep work. There is a lot of reading to do, and it isn’t scripted, so you’ve got to take notes because the instructions are interlaced with the science-y bits. I often have to read through the lessons 2 or even 3 times to make sure I’ve got it all and I know what I’m doing. There have even been times when I’ve left something out, or had to stop mid-flow to refer to the book, and that’s a big momentum killer. I need something with a little more hand-holding. So, I’ve decided to give R.E.A.L. Science Odyssey a try. This was my second choice after BFSU. They have great try-before-you-buy samples that don’t require any registering or obligation; you simply click on the link and a pdf file opens up. I’d heard lot of negatives about R.E.A.L. : that it was babyish, the labs didn’t always work, it’s not in-depth enough, needs supplementing, and some of the labs were downright pointless. But, I decided that none of the those negatives matter… he’s six and this isn’t our only shot at science. We’ve got lots of time to go more in-depth, read, and explore. But if the programme we’re using is too much hassle and it’s just sitting there and science isn’t getting done, then it doesn’t matter how great it is. RSO, from what I can see so far, meets all of those requirements. Initially, I agreed with the views that RSO was babyish. The funny drawings and tone of the lessons did make it seem a little young. But I now see it as lively and fun. It’s a very sound curriculum and there is a lot of overlap between it and BFSU. The main difference with BFSU is its seriousness. There’s not a single picture or drawing in the book (since it’s geared for the parent), and although the tone is inviting and encouraging, it’s very sober and no-nonsense. But my son is 6. He’s energetic and silly and giggly and thinks science is fun. So where’s the fun? I want him to love science. BFSU is too grown-up for us right now. Too controlled and managed. It’s not messy or silly…or fun, sadly. Maybe it is; maybe it’s just me. Maybe I’m making it not fun. The biggest problem of all: Esa’s losing his interest in science. I’m really shocked that this is happening, but it is. Week after week he asks me, “when are we going to do something in science?” The lessons in BFSU are more like demonstrations and discussions. There’s little for him to actually do. I find myself saying to him, “Once we get a bit further on in the programme, it’ll be more exciting.” But we’re nearly 1/4 of the way through and if anything, there’s been less for him to actually do. He’s bored. 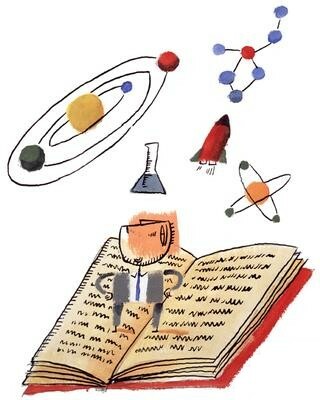 Yes, he’s learning about scientific concepts, but he’s uninspired by it. To be fair, not all the lessons are this way. Some have gone well, and some of the lessons Esa really enjoyed. But he wants to make things and mix things and feel like an explorer. R.E.A.L. Science will give him that. When I look at RSO I can see the fun. BFSU volume 1 has no chemistry activities. I’ve told Esa that we’ll only be doing Biology for now, but that we will later be doing chemistry…a whole year of concoction-making, mess-making, kitchen-science fun. So far we’ve done the first 2 units and Esa’s really enjoyed it. We’ve spent 2-3 days each week doing science, supplementing with The Usborne Internet-Linked Science Encylopedia and library books. Science is getting done and we’re loving it. Wow, what a week! We did everything I’d planned for the week…everything. I don’t think that’s ever happened before. All the extra work hasn’t phased Esa one bit. He’s enjoying it and asking for more…I’m very happy to oblige. Here’s a snapshot of some of what we did and a few tweaks I’ve made. On Fridays Esa has IRT (independent reading time). During IRT, he’s to choose a book that he’s not yet read, go away and read, then tell me what the book (or chapter, or whatever) is about. This was fabulous. Esa chose a Hot Wheels annual (not exactly Newberry material, but it does have lots of big words). He was happy to be finished, but later in the day I saw him reading from it again. Last year I purchased Sequential Spelling. It was great, but it was just too much handwriting for Esa and since he wasn’t doing a lot of writing I felt it was pointless to worry about spelling. I also knew there was a real risk of him forgetting everything he learned, so I shelved it. We’ve picked this back up and it’s working beautifully. Esa is loving it and he’s learning a lot. However…I’ve been really tempted to try All About Spelling. This programme looks great and I like that it teaches the spelling rules. Sequential Spelling teaches patterns, but you aren’t told the rule behind it. If you’ve been reading this blog for any length of time or if you know me at all, you’ll know that I need to know the rules behind spelling (and everything else). The problem is, AAS is only available from the AAS website. It can be shipped here, but it’s very expensive to do so. They do have a very generous guarantee, but I wouldn’t get that shipping charge back. I was also a little put off by all the cards- word cards, phonogram cards, and whatever else. It’s just too fiddly for us. Since Sequential Spelling is working for us and it’s really the rules that I’m after (and it’s now available as a Kindle download, so I can view it on my computer or a Kindle if I buy one), I thought it made more sense to buy a book with the spelling rules in it. I’ve ordered the Handy English Encoder Decoder: All the Spelling and Phonics Rules You Could Ever Want to Know which I’m hoping will live up to its title. We can do Sequential Spelling and learn the rules alongside it. Problem solved. Hopefully. Sometimes when we begin a new curriculum I’m not always sure what I’m doing. I read through it and try to plan, but inevitably the best thing to do is just get it out and make a start. Within a few days things fall into place and we develop a routine. This happened with Story of the World and Building Foundations of Scientific Understanding. When I got Minimus I saw quite quickly that this was one of those I-can’t-figure-out-what-to-do-with-this-so-I-won’t-try-we’ll-just-wing-it programmes. But after a week I was still just as mystified as when we began. We listened to the CD, followed along with the book, translated the passage (well, I translated it for him)…and then I just didn’t know where to go from there. So we did it again. And again. And again. And on Monday, Esa and I looked at each other with mirrored expressions that said, ‘what the blazes are we supposed to do with this?’ Even the teacher’s manual wasn’t shedding any light on things. I needed something more scripted, something that would hold my hand. Something parts-to-whole. I’d planned on using this for third grade, but after having another look at it, I thought Esa might be ready for it. Esa and I spent a good hour on the Lively Latin website having a look and decided to take the plunge. We were both giggling and giddy when I clicked ‘pay now.’ We purchased the PDF version, so we were excited to be getting it right away. But that didn’t happen. I never received the password to get the materials. 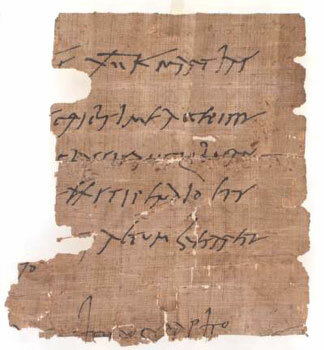 I sent an email to the Magistra, Catherine Drown, who replied within a few hours, and then we were on our way! I printed out the introductory material, the notebook cover and dividers and the first lesson. Oh, for the love of all things holy! Never mind; I was going to get Lively Latin anyway, so if we do go back to Minimus, it’s not wasted, it’s just one less thing I have to buy for next year. Lively Latin is fantastic. I think Esa is a little bored because it’s parts-to-whole so the beginning is a bit slow and tedious, but I know things will take off once he’s got a little vocabulary under his belt. I’m not going to reinvent the wheel by telling you all about Lively Latin; the website has all the info you need, but I just want to mention what I love about this programme. Holds my hand. I know exactly what I’m doing and how to teach with this. It’s not scripted and you can adapt it, but there is a sense of direction and I know what I need to do. Parts-to-whole. This is how I learned French, German, and Spanish so I’m very comfortable with this. The added bits. This programme has some art appreciation, Roman history with templates for making a My History of Rome book, activities, online games, flash cards, chant sheets, teacher’s notes, and more. The introductory material. There’s some interesting stuff here, with a language family tree, an article on why we should study Latin, the origins of English, and why English is so messed up. There’s also a choose a Latin name section and tips on staying organised and how to teach. I love it. It’s secular. That’s a big one for us. So many of the Latin curricula are religious and I don’t want to have to work around all that. So, which are we using, Minimus or Lively Latin? Well, I don’t know. We’re going to keep going with Lively Latin and see how it goes and use Minimus as a supplement. If it’s too much for him, we’ll switch back to Minimus and make the most of it. to our poetry library. These are fantastic additions and have spiced up our poetry reading. We’re continuing with BFSU, which is just the greatest science curriculum ever, in my opinion. It really can stand alone, but my little guy loves science and could do science all day, every day, and sadly we’re only doing science once a week at the moment. I’m going to try to add a little nature study and some fun activities to our week. More on that later. Back to School Excitement…(a little less than) One Week to Go! It’s a beautiful day today. We’ve had several days of lovely weather, in fact. (Sadly, the weather is now horrendous.) Although the near-constant rain sometimes gets me down, I must say that I don’t miss the scorching temperatures and stifling humidity of Ohio. I did my best to spend very little time outdoors during the summer because it was just so flippin’ hot and miserable. English summers are much more inviting (when it’s not raining). You can’t help but want to go out. As I look out the window I can see Esa in his high-visibility jacket, huge sponge clutched in his little fist, wiping our car’s parcel shelf. I can tell he’s itching to finish the scrubbing so he can blast it with the jet washer. I’ve not spent as much time outdoors this year as I did last year. Partly because we’ve had a pretty miserable summer, but even on nice days I’ve just not felt like going out. I do regret that. I did spend about 5 minutes outside today repotting an aloe plant. And lovely as it was, I just didn’t feel like staying out. I don’t know why, although I do know that when the cold weather hits I’ll be cursing my stupidity. Dh has this whole week off. Normally I groan when he’s at home for a whole week and we have no real plans, but I’m looking forward to it this time. This is the last week of Ramadan, we have Eid this week and no lessons, so there are some preparations to be made. We’re planning to take Esa to a museum in Manchester to round off our prehistory studies and we need to do a little shopping. I’m hoping to get some time for my artwork, but best of all I’ll be finalising our preparations for our first week of second grade, which begins September 13th. I’m so excited about school…but a little apprehensive. Ok, a lot apprehensive. I’m worried that I’ve gone overboard and all this work I have planned is just going to be stuff we have to get through. I’m afraid that there’s too much writing. I’m terrified that he’s going to hate it. The fact that I go all googoo eyed when I steal glances at our books doesn’t mean Esa’s going to share my enthusiasm. And if he hates it, I’ll end up hating it, too. 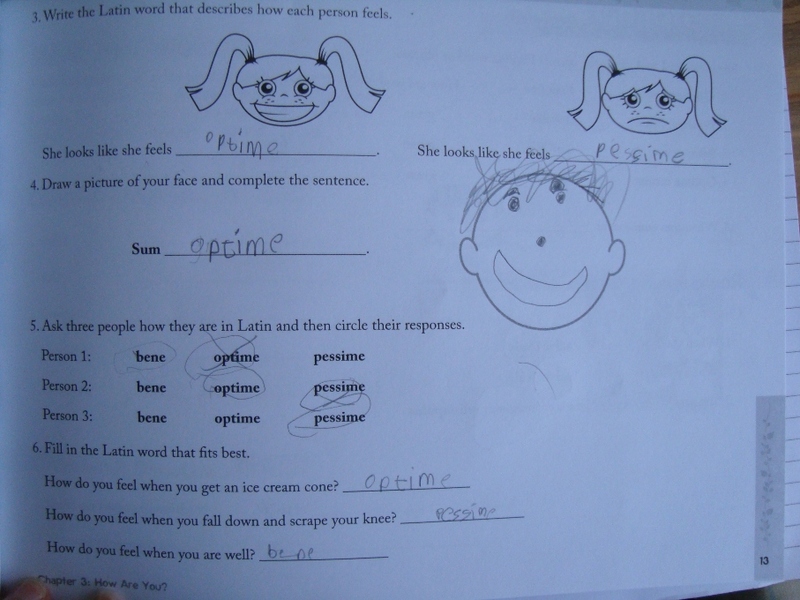 Read through our first Minimus Latin lesson and make notes, photocopy worksheets, etc. Get out Singapore Math books, which have been collecting dust and select review pages/new material to cover the first week. Math drill? Math stories to read? Math games? Look through web links for any relevant websites, book recommendations, activities, etc. That ought to keep me busy for a day or two.